, which included cross-device conversions for search ads. Advertisers from around the world, both large and small, have used these insights to see a more complete and accurate picture of how their online advertising drives conversions. Starting today, estimated cross-device conversions for display ads will start to roll out to all advertisers to help you measure the full value of your ads on the Google Display Network. Here’s how it works: say someone’s browsing bicycle reviews on her phone, and clicks on a Display Network ad that takes her to a bike shop’s website. Later, when she gets home, she pulls up the shop’s site on her computer to buy the red cruiser she’s been eyeing. 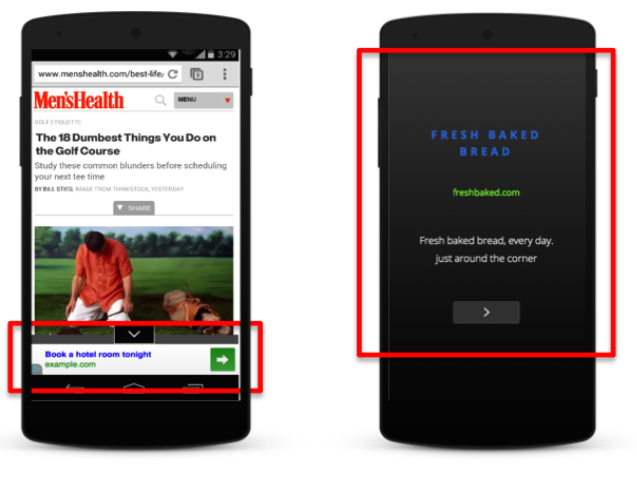 This is an example of a cross-device conversion from a display ad that advertisers can now measure. Your customers’ paths to purchase are increasingly complex. In fact, 9 in 10 consumers start an activity on one device and finish it on another.1 With the rise of mobile phones, customers may interact with your ad to learn more about a product and then call your business, download your app, or finish their purchase on a different device. Advertisers are making important business decisions based on the insights that they’ve gained from these new measurement tools. 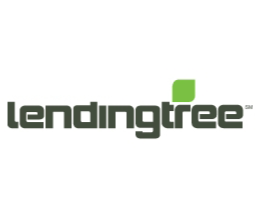 LendingTree has used the estimated cross-device conversion metric to measure 6% more conversions from their mobile display campaigns on AdWords. Mike Doll, head of programmatic marketing at LendingTree, says that this new metric “can provide valuable new insights into how users interact with our ads and where they ultimately convert.” The online loan marketplace is currently exploring ways to use these new insights to guide decisions on mobile budgets and bids. Learn more about how businesses are using insights from Estimated Total Conversions to make important marketing decisions about budget allocation and bid management. Join us for a live Hangout on Air with industry leaders on Wednesday, November 12th at 11:30am PT. RSVP here. It’s been a year since we launched Estimated Total Conversions, which included cross-device conversions for search ads. Advertisers from around the world, both large and small, have used these insights to see a more complete and accurate picture of how their online advertising drives conversions. If you enable automatic item updates, we will update product price and availability shown on PLAs if we notice a difference between your product data and your website’s microdata instead of disapproving your ads. These item updates will persist until you make an update to your product data. Merchants who have participated in the beta have seen a 50% reduction in price-related item disapprovals. Implement schema.org microdata on your website. Learn more about implementing microdata. Enable automatic item updates by visiting the automatic item updates tab in the settings section of your Merchant Center account. Automatic item updates work in conjunction with a good feed rather than replacing it. Accurate and frequent data feed updates are still critical to ensure great results for shoppers. If many of your products are updated several times per day, we suggest using the Content API in addition to setting up automatic item updates. To keep your items live during this holiday, you should always make sure to comply with our Google Shopping policies while participating in Google Shopping. For more help with data and policy requirements, please visit the Merchant Center Help Center. We know you’re busy preparing great deals for the fast-approaching holiday season. When shoppers find these deals on Product Listing Ads (PLAs), they will expect the price and availability to match your website. Any changes to this information on your website will need to be reflected on Google Shopping as quickly as possible. To help you with this, we’re announcing automatic item updates. Big brand ads, built for mobile and resized for every screen: Mobile lightbox Engagement Ads use your existing brand assets to automatically create engaging rich media ads in HTML5 that run seamlessly across devices and screens. The ads will dynamically resize to fit any ad size, making them quick-to-create, and you only pay when users engage. We built a demo of this new format for Kate Spade's 2013 holiday campaign. These will soon be available in the AdWords Ad Gallery. Video ads for the AdMob network that people can choose to watch: TrueView ads have already been running across gaming apps in the AdMob network. In the coming months, they will roll out broadly across more apps in AdMob. With TrueView, your ads can reach consumers while they engage with their favorite apps. Plus, you only pay when a user chooses not to skip your ad. Ads that stay put even while a person scrolls down the page: The anchor ad format is a mobile web ad unit that sits at the bottom of the screen on a mobile device. As a user scrolls down the page, the ad remains “anchored” to the bottom of the screen. The user can dismiss the ad at any time. Magazine glossiness for your existing text ads: The magazine style text ad format (previously launched for mobile websites) has now been extended as an interstitial in-app format for the AdMob network, bringing the glossiness of print magazine ads to the ease and practicality of a text ad. Google Display Network text ads automatically become eligible to serve in this new ad space. These next generation mobile formats will make it easier for advertisers to build beautiful and engaging mobile ads that work across screens, but we also wanted to make it easier to do more with your existing ads designed for desktop. We've developed three new tools, that will be available in the coming months, to convert your existing ads into versions that will work across screens and devices. Automatic mobile sizes for your image ads: The auto-resizing tool for the Google Display Network will automatically create new sizes of image ads, including mobile-specific ad sizes. Interactive HTML5 backups when Flash isn’t supported: The Flash-to-HTML5 conversion tools for the Google Display Network and DoubleClick Campaign Manager will automatically create an HTML5 version of your Flash ads. When these ads are served on a device or browser that doesn’t support Flash, the system can show the interactive HTML5 ad instead of a static image backup. HTML5 and in-app rich media ads built in minutes: There are now 29 HTML5 and in-app formats available in DoubleClick Studio Layouts, a tool that let’s you upload your existing creative assets into a pre-built rich media ad template to quickly create rich ads that work on smartphones and tablets. With these new tools and formats, we’re making it easier for advertisers to develop beautiful display ads that just work, regardless of screen or device, ensuring a better experience for both consumers and brands. It’s true that mobile devices offer a new canvas for advertisers to connect with consumers, but painting on this canvas has not always been easy. Many marketers started out by shrinking down their existing display ads for mobile, but this didn’t always make for a great consumer experience. They also discovered that frequently their existing display ads were not able to run on mobile devices or on mobile browsers. But now, a new generation of display ads is changing how advertisers engage with consumers on mobile devices. Today, we’re excited to announce that over the coming months we will launch several mobile display ad formats and tools across the Google Display Network, the AdMob Network and DoubleClick that will make it easier for advertisers to build successful ads that work across screens. 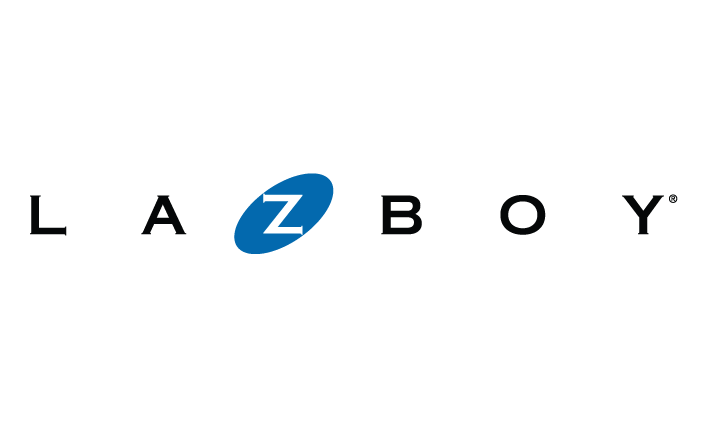 , we announced our commitment to build tools specific to the needs of advertisers with large scale campaigns. We call these “Tools for the Power User,” and they’re designed to help our most sophisticated advertisers reach customers at scale, reduce account complexity, and act on data and insights. Over the next few months, we’ll be rolling out a number of these new tools. The first of these is ad customizers, which fits this month’s theme of optimizing creatives at scale. For advertisers with thousands, or even millions of products, showing tailored messages for each product and promotion you’re offering can be a time-consuming and difficult process. Ad customizers let you show highly relevant ads to your customers, in real-time, even when you have thousands (and sometimes millions) of products, services, and promotions—all changing by the day. For example, ad customizers allowed Extra Space Storage to deliver a relevant, dynamic ad to each of their customers, and scale their ad creation at an incredible rate. Extra Space Storage says: "By using ad customizers to dynamically insert details about price and timing on promotions into our ad text we saw a 113% increase in CTR over our control. Google gave us a solution to the growing need of delivering the right message to the right customer." Ad customizers use a number of inputs, such as information about your business, to generate extremely relevant and timely ads. To get started, you’d simply provide business details like product, price, and timing on promotions, and which campaigns, ad groups or keywords they’re relevant for, through a spreadsheet. This information goes into the new Business data section of the Shared library in AdWords, where it can be stored and then accessed when we use it to show an ad. Then, you create your ad with customizers which are parameters that tell us what information from your spreadsheet you want inserted into your ads. AdWords will dynamically take the product information that is most relevant to what each customer is searching for and insert it into your ad text. This saves you time, and lets you deliver a powerful, customized ad experience to each of your customers, every time. We’re already seeing many advertisers use ad customizers to effectively reach their audience—and their performance goals. With ad customizers, advertisers get to save time while showing fresher and more relevant ads, and customers see ads with pertinent, up-to-date information that’s closely tied to their search. This is a better user experience for your customers, and helps you drive better performance on your text ads. This feature will be rolling out globally over the next few weeks. For more information on how to get started, visit the AdWords Help Center. Earlier this year, we announced our commitment to build tools specific to the needs of advertisers with large scale campaigns. We call these “Tools for the Power User,” and they’re designed to help our most sophisticated advertisers reach customers at scale, reduce account complexity, and act on data and insights. Effective mobile advertising in AdWords involves more than adjusting your bid modifier. There are a number of specific actions to take in your accounts to successfully engage mobile users. 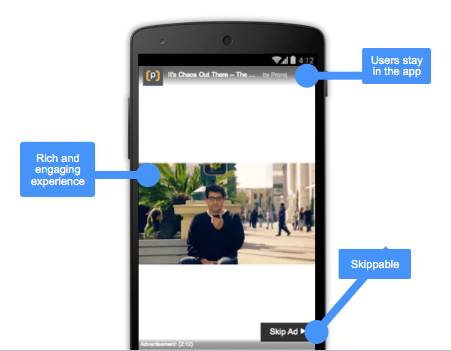 How should your mobile-preferred ads be tailored to mobile users? What extensions are must-haves for your mobile efforts? What types of targeting could you be overlooking on mobile? Are you capturing all mobile conversion types in your reporting? Download Smart Phone Tips and be confident that you’re covered on the mobile PPC necessities. may show instead of the second line of ad text (description line 2) on your mobile search ads. Description line 2 may or may not show, depending on how well it’s expected to perform. These improvements are designed to show more relevant and useful information to your customers. Many advertisers have already optimized their ad text in a way that’s updated for longer headlines in keeping with our ads best practices, so no action is required in many cases. Let’s take a look at an example business, Flowers Forever, to see how this update will work. Before the update, people who searched for “flowers” on Google.com saw the ad on the left which shows the business’ website URL, two lines of general information and a link to place orders. After the update, potential customers may see a Google Maps marker that shows the location of the flower shop, in addition to the website URL, ad creative and online order form -- all within one ad. By eliminating the second line of ad text, we give businesses another point of engagement with customers in their ads -- in this case, it’s the additional location extension. With just a single click on their smartphones, consumers can now directly engage with Flowers Forever in three ways: they can visit the mobile website, place an order, or get directions to visit the store. Ensure that your most important information is in the first line of ad text (description line 1) to address customer needs right away. Remember to keep this text within the 35 character limit. Enable all relevant extensions to help consumers find information faster and increase clickthrough rates (CTR). Use mobile preferred creatives to help consumers quickly and easily take action while on the go. You’ll also get better results when your ads are more relevant to mobile searchers. We’re constantly adapting our products to better meet consumer needs and help businesses connect with customers. While we believe that these new updates will provide improved performance for your mobile ads, you may opt out of this offering when it becomes available in October via a form on this Help Center article. People expect information right at their fingertips, whether it’s locating the nearest burger joint or booking a flight. And they’re searching for all this information on small screens -- sometimes as narrow as 4 inches. This means that mobile ads must make every character count. Today, we are announcing an improvement to the way ads look on smartphones to make it easier and faster for consumers to find things they are searching for, while on the go. Starting on October 15, 2014, your ad extensions may show instead of the second line of ad text (description line 2) on your mobile search ads. Description line 2 may or may not show, depending on how well it’s expected to perform. These improvements are designed to show more relevant and useful information to your customers. Many advertisers have already optimized their ad text in a way that’s updated for longer headlines in keeping with our ads best practices, so no action is required in many cases. into Google’s search partners, you can now reach users as they search or browse for products on retail and commerce sites in the Google Search Network. These retailers, such as Walmart.com, are part of AdSense for Shopping, our latest product to help monetize site traffic. Extending your Shopping Campaigns to these sites helps you reach qualified users beyond google.com and Google Shopping. Your Product Listing Ads show alongside contextually relevant results, determined by the user’s search, the product category or the product name. 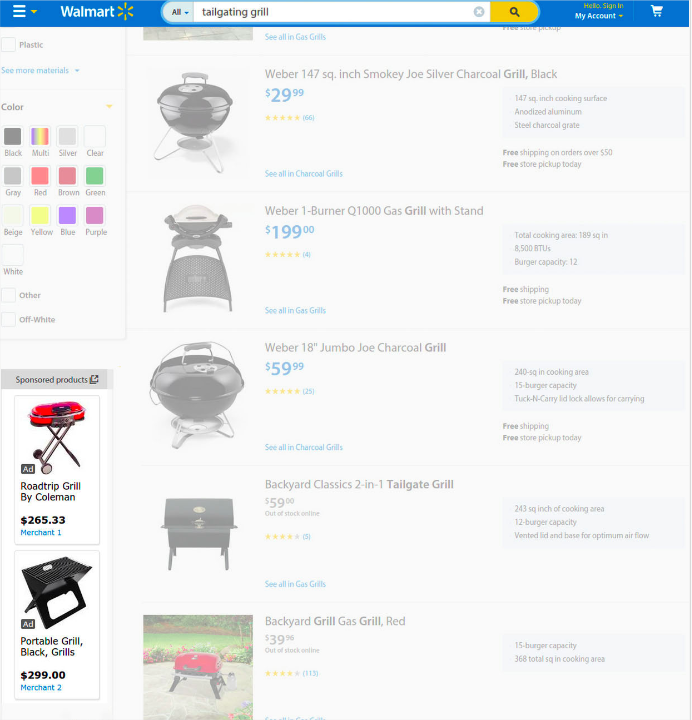 For example, if you sell tailgating grills on Google Shopping and a user searches tailgating grill on a retail partner's site, your Product Listing Ads may be eligible to appear. Similar to text ads, opting your Product Listing Ads into search partners won’t affect your quality score on google.com. AdSense for Shopping is currently limited to a small set of retail and commerce publishers. As we release the product to more publishers, we expect advertisers with Product Listing Ads opted into search partners to see increased traffic to their sites. If you’re a retailer and you’re interested in monetizing your site through AdSense for Shopping, please complete this interest form. To learn more about showing your Product Listing Ads on search partners and evaluating your performance, please visit our AdWords Help Center. With the growth of product queries across the web, advertisers are looking for new ways to connect their products to interested shoppers. By opting your Shopping Campaigns into Google’s search partners, you can now reach users as they search or browse for products on retail and commerce sites in the Google Search Network. These retailers, such as Walmart.com, are part of AdSense for Shopping, our latest product to help monetize site traffic.
. Callouts will start rolling out today, with full availability to all advertisers in the next few weeks. Callouts show valuable information to potential customers before they click your ad; while also being a factor in Ad Rank. Use them to draw attention to important product details and benefits. Or highlight what makes your business different from your competitors. Callouts can also be used effectively in combination with other ad formats. For example, if you’re already using sitelinks for “Women’s Clothing” and “Back to School,” create a callout for “20% off entire site” to encourage people to click through and make a purchase. Or if you’re using call extensions, highlight “24/7 customer support” so your customers know they can call your business for help. However you plan to use callouts, make sure to keep them focused and relevant. You can manage, schedule, and report on your callouts from the Ad extensions tab. Since callouts can be added at the account, campaign, or ad group level, you can provide more general information about your products and services at the account or campaign level, and more detailed information at the ad group level. For example, add callouts for “Special discounts” or “Free shipping” to campaigns containing more general keywords like cheap flights or shoes respectively. Or add callouts for product details at the ad group level to support more specific keywords like men’s running shoes or 12 cup coffee makers. Keep in mind callouts are limited to 25 characters each and up to four can show with your ad. They can also co-trigger with all other ad formats in the auction. 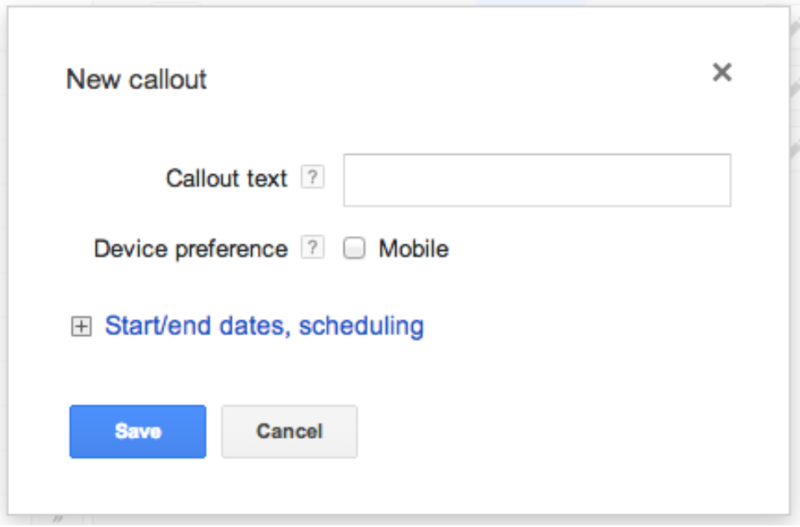 To learn more about creating and managing callouts, see our AdWords Help Center article. Whether it’s free shipping on all laptops or a price match guarantee on smartphones, the more information people have, the better purchase decisions they can make online. That’s why we’re introducing callout extensions: additional text that shows with your Google search ads, highlighting specific information about your products and services. Callouts will start rolling out today, with full availability to all advertisers in the next few weeks.